This is Part 1 of a series on issues surrounding Kaiser Permanente's mental health services. Part 2 looks at allegations of long wait times for mental health treatment at Kaiser. Sonoma County Supervisor Shirlee Zane is frustrated with Kaiser Permanente. "I can tell you I have heard a lot of stories within the last few days about these types of incidents over and over again," she says, "of people who were so wronged by their treatment, by either being referred out of the system or by saying, 'We don’t have the appointments.'" She's referring to allegations of long delays for mental health services at Kaiser Permanente, accusations the health plan has been dealing with for several years. Now, Zane is trying to leverage a very personal tragedy -- the suicide of her husband -- into pressing Kaiser on reforming its mental health practices. Kaiser, which is appealing the fine, argues that DMHC did not find problems with the quality of mental health care provided or with the ability of enrollees to obtain urgent or emergency care. The controversy picked up steam recently when Zane said she will use the 2011 suicide of her husband while under the care of Kaiser's Santa Rosa psychiatric department, plus her role in approving Kaiser's contract with the county, to push for changes. Zane's ire was triggered recently by a scathing series of ongoing blog posts written by former Kaiser Santa Rosa therapist Andy Weisskoff. Called "90 Days to Change," it chronicled Weisskoff's campaign, after he gave three months notice, to improve what he says are abysmal waiting times for Kaiser mental health patients who want individual therapy appointments. Weisskoff, as well as some other Kaiser therapists and patients, say that enrollees experience long delays between individual appointments, with group therapy sessions offered instead to fill the gap. These groups may or may not be adequate, Weisskoff and other Kaiser critics say. Kaiser has denied there are any problems with waiting times, and says it employs almost 14 percent more therapists in Northern California than it did three years ago. Supervisor Zane took a public stance on the issue after she recognized a description of her husband in one of Weisskoff's posts (since removed). The post was a reprinting of a letter Weisskoff had sent to Kaiser administrators in May. In the letter, Weisskoff used the suicide of a former patient to illustrate his concerns about patients who do not show up for group sessions they're sent to. The first time I met him was for a very brief screening interview – twenty minutes. At that time our structure was to meet people briefly face to face to determine if they were appropriate to continue in our department, and if they were, to meet again in a week for a full intake interview....After twenty minutes, I gave him a preliminary diagnosis of Adjustment Disorder and made an appointment a week later to see him for an hour-long interview. A week later he remained distraught. During our interview I learned more about his history, and updated his diagnosis to Panic Disorder and Major Depression, Recurrent. He claimed he didn’t have suicidal thoughts, that he was having the most difficulty managing his panic, so I booked him for our Introduction to Anxiety Disorders group, within a week, and also set him up for my next available individual appointment with me. Forty-two days later. He made it to the Intro to Anxiety Group, and was referred on to the Anxiety Basics Group starting the following month. He did not make it to the first session of the Basics group, however. He killed himself two weeks after the introductory class, and two weeks before I was scheduled to see him next. When the Santa Rosa Press Democrat wrote about the controversy, Zane told the paper that Weisskoff's criticisms were "spot on about Kaiser's failure to meet the mental health needs of their patients." Later, in a conversation with me, she said Kaiser had provided "insufficient care" for her husband. She told me Kaiser apologized to her in a meeting on June 25. Zane, who has been active in mental health policy issues and is a former practicing licensed therapist, was critical that her husband's primary care physician, as is often the case, was managing his medication instead of a psychiatrist. She also believes Kaiser should have known her husband had tried to commit suicide before and that it did not meet his need for individual therapy as opposed to a group. "Waiting 40 days to see a therapist certainly wasn't going to be helping him," she says. In the meantime, the National Union of Healthcare Workers (NUHW) has requested that U.S. Attorney General Eric Holder launch a criminal investigation into Kaiser over appointment delays and alleged falsification of appointment records. The union has likened Kaiser's mental health practices to those implicated in the current VA scandal. 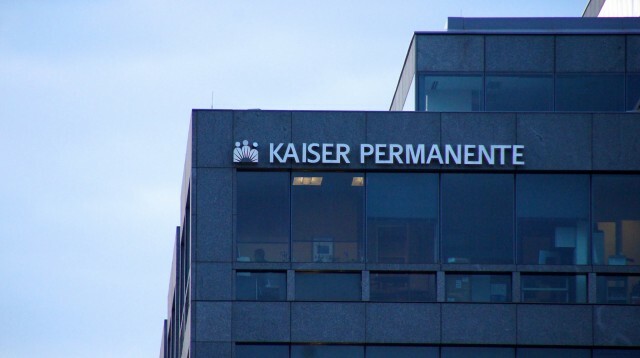 Kaiser has dismissed the allegations as a stunt by NUHW to gain leverage in protracted contract negotiations. To blame a labor dispute for the deficiency in Kaiser’s delivery of mental health services is the lowest form of scapegoating I have ever seen. As the widow of a Kaiser patient who was so grossly undertreated for severe depression that he hung himself, I am literally sickened that you have concocted such a callous and unfounded defense for the broken healthcare system you represent. As an educated woman, your comments strike me as extremely insulting and even dangerous. I am a Sonoma County Supervisor who each year approves one of Kaiser’s largest contracts. It troubles me that I am hearing my story echoed by so many other northern California subscribers and I am beginning to wonder how I can, in good faith, approve for County employees healthcare services that I know to be dangerously inadequate. Last Wednesday, on June 25, Zane met with Kaiser officials. She says that she told them that Kaiser was relying too much on group treatment at the expense of individual therapy appointments. "You guys need to offer group therapy as (only) an alternative. This doesn’t look voluntary," she described saying. "You can't put people who are acutely depressed in a group. Groups are helpful for grief and substance abuse, but there’s a whole host of mental health problems. ... I said individual therapy always needs to be offered." Zane told me that Kaiser agreed with her and would make changes. "They agreed to no longer offer group therapy as being the only option for their members, but only offer that as an alternative." In our meeting with Ms. Zane we discussed KP's commitment to the combinations of mental health treatment that are optimal for a patient's condition. Every patient’s situation is evaluated and treated individually. If a patient's treatment plan involves follow up individual appointments with a therapist, the patient will receive those appointments. When we offer group therapy, an individual therapist appointment is always also available to the patient. Often group therapy or health education classes are important parts of a patient's treatment, and if patients are not taking advantage of those, we will partner with the patient to determine other courses of treatment." Kaiser also told the Santa Rosa Press Democrat that it had already been taking steps to improve its service before the meeting with Zane. Which brings us back to the top of the article and Zane's frustration with Kaiser. She is not happy that its description of what happened in the meeting appears less than resolute in acknowledging what some say are problems with individual appointment delays and an over-reliance on group therapy. She says she will circle back with Kaiser on the matter when she meets with plan representatives on July 30. And she says she's heard from plenty of unhappy Kaiser patients since the dispute went public. "Stories that would make the hair on the back of your head stand up," she says. "Kaiser better start paying attention.They better change the way they do business when it comes to mental health services." Kaiser, for its part,says that any focus on a lack of individual therapy is a mistake, as there is no evidence that it is more effective than group therapy. But the Kaiser clinicians I have spoken to say it's not possible for them to offer more individual therapy to all of the people who need it, because there are simply not enough appointments available. We'll look at that issue and more about Kaiser's mental health services in upcoming posts.